Rainford High Technology College kindly host the Rainford 10K and have done since the event began. This gives us a central location to base the start and finish of the race around. It is also the home to our fun run route. There will be many stalls and attractions available in the school grounds including food and drink, bouncy castles. face painting and post/pre-race massages. We have a prize giving ceremony towards the end of the main 10K race which is well worth sticking around for. Businesses from around Rainford and St Helens kindly donate prizes for the various categories, and our fastest runner will be awarded the George Faulkner Memorial Trophy. We recommend you arrive early to avoid queuing. Those who have registered online can check in and collect their numbers/chips between 08:00am and 9:30am. You will be allocated a number once online entry closes, this will be emailed to you along with further information. All number / timing chip collection takes place at the event on the day. We do not post out numbers. Online entry details are now final. No adjustments can be made until after the event as details have been sent to the timing company. We do have a limited number of places available for on the day entries if you have not been able to register online. These are allocated on a first come first served basis from 07:45 until 08:30 ONLY. 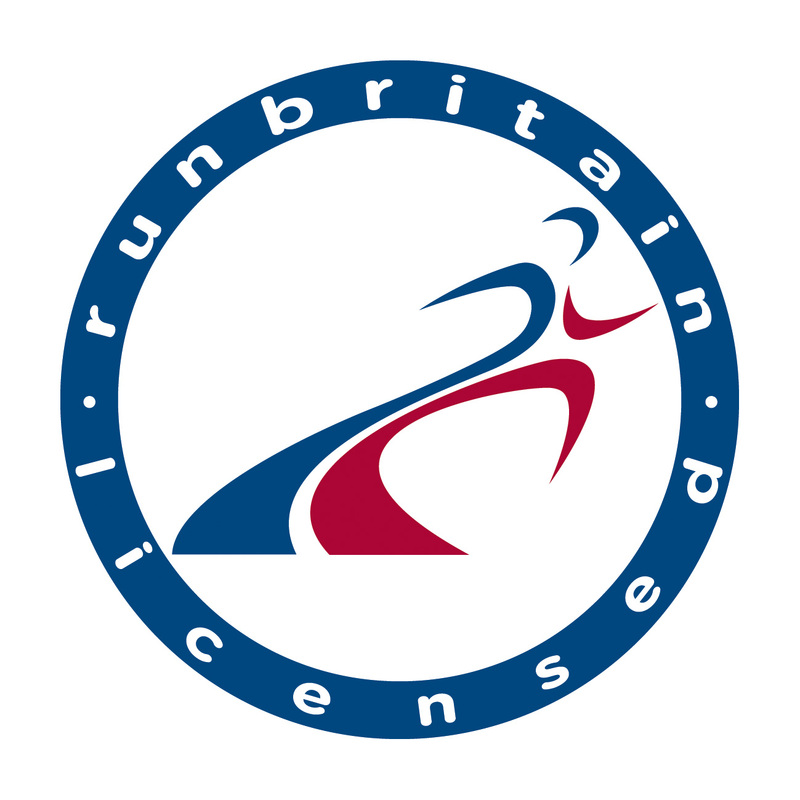 On the day entries have no guarantee of a tshirt or goody bag as priority is given to those who have pre-registered. The fun run will start from the School’s AstroTurf at 09:45am after a warm up on the bus turning circle at about 09:35am. Anyone taking part in the fun run must be registered either online or on the day. You will need to check in at our registration desk on the day so that we know you are taking part, you will then be given a wristband to prove you’ve paid. No wristband no race. Prior to the main race starting, a warm up area will take place on the paved area at the front of school. Runners will then move down onto Higher Lane where the race will start at 10:30am. We aim to section off the starting area into timed positions with those expecting faster times towards the front. 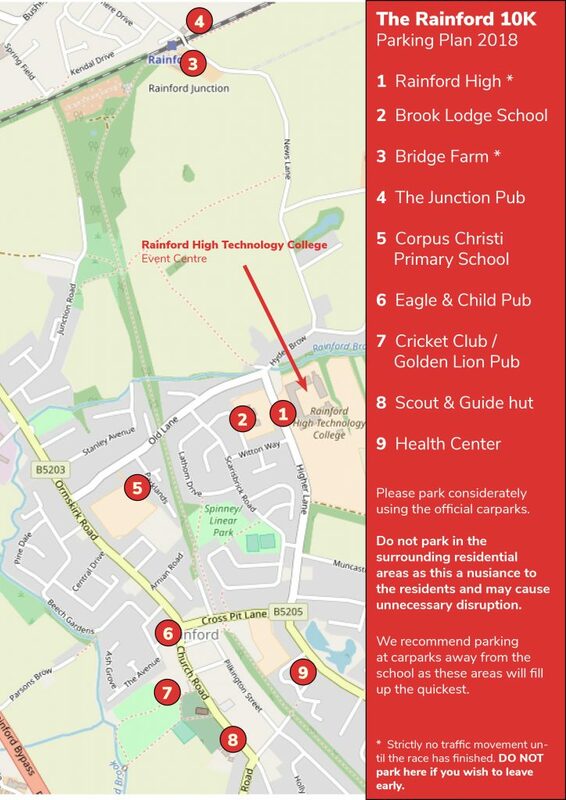 Parking is available at various locations around the village. We don’t recommend parking near to the school as it will get busy and traffic movement will be restricted during the event. DO NOT PARK IN SURROUNDING RESIDENTIAL AREAS as this causes a nuisance for the already disrupted residents. We will be releasing some final information once online entry closes and is finalized. Any updated or changes will be posted both to this website and our facebook event. Please click here to contact us if you have any further questions.